Keep up with the growing demand for specialty colors with the new Pantone Plus Series Pastels & Neons Guide. Select from 154 soothing pastel colors whenever softness or subtlety are called for, or specify from a newly expanded range of 56 hot neon colors to add pop and vibrancy to your designs. Compatible with today's digital workflows, the colors are arranged chromatically. Ink-mixing formulas are provided. Text weight paper is used, to match popular print specifications. The Pantone Plus Series Pastel and Neon Guide includes a lighting evaluation tool and design software. Coated and uncoated stocks are combined into one convenient guide. The Pantone Plus Series is an enhancement and replacement of the flagship Pantone Matching System that retains all the classic colors while building on the Pantone Matching System's legendary success with exciting new colors and features. Based on feedback from designers, printers, and color decision-makers, the colors in all Plus Series Guides are arranged chromatically. Color names and numbers remain unaltered, and a color index makes finding them a snap! The new Pantone Color Manager Software enables instant updating of digital design applications such as Adobe, Quark, and Corel to include the new colors of The Plus Series. 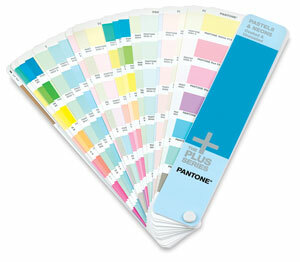 The software is downloadable free with the purchase and registration of any Pantone Plus Series product.